This past year in collaboration with the University of the West Indies Discovery Bay Marine Lab, we partnered with Seville Heritage Park to deliver the J.A.M.I.N. program to students in St. Ann’s Bay, Jamaica. The partnership with Seville Heritage Park has really got me thinking about the history of this area and what happened here so long ago. From the 15th-18th centuries, the New World (the Americas and Australia) was colonized by various European countries in an effort to expand power overseas. This time period is often referred to as the Age of Exploration, which represents the start of globalization. There were positive and negative consequences of this expansion. Prior to the Age of Exploration, the Caribbean was inhabited by various indigenous groups. Jamaica, Hispaniola (containing Haiti and Dominican Republic), Cuba, Puerto Rico, and other Caribbean islands were dominated by the Taino Indians, a sub group of Arawak Indians that migrated from South America. It was the Taino Indians who first greeted Christopher Columbus and his crew on his second journey to the New World in 1494. He landed in Santa Gloria, which today is known as St. Ann’s Bay. In 1503, on Columbus’ fourth voyage, he stopped again in Santa Gloria due to the poor condition of his two ships – Santiago and Capitana. Columbus and his crew lived on the island for one year before they were rescued. In 1508, Jamaica was given to the Columbus’ family and shortly thereafter Columbus’ son appointed Juan de Esquivel the lieutenant of Jamaica. 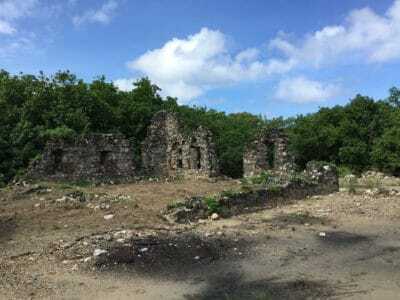 Esquivel returned to Santa Gloria in 1509 with 80 citizens and their families to colonize Jamaica. They settled near Santa Gloria and named the first Spanish settlement and capital of Jamaica as Sevilla la Nueva (New Seville). By 1511, the Spanish crown insisted that the settlers enforce “encomienda” or the right to demand forced labor from Indian inhabitants. The Taino were forced to work for the Spaniards. Each settler was allowed to have between 150-200 Taino and they were used for constructing buildings, farming, mining, and transportation. 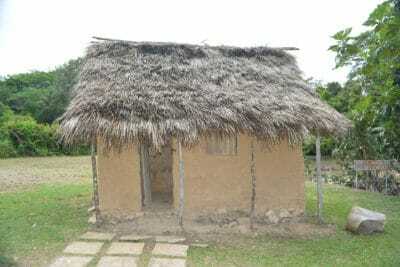 The Taino population was exposed to European disease and cruel treatment. Their population quickly dwindled. To replace the Taino Indians, the Spanish brought African slaves to Sevilla de Nueva. During Spain’s reign, the town was moved twice. Initially the town was moved a short distance away from the original site due to the health hazards generated by the mangroves and the name was simplified to Sevilla (Seville) in 1518. Later in 1534, the town was moved to the other side of the island and renamed Villa de la Vega, which is known as Spanish Town (near Kingston) today. It wasn’t until 1655 that the British conquered Spain and took control of Jamaica. In 1670, Captain Samuel Hemmings was given 2,500 acres of land, which included Seville la Nueva and Sevilla. He named the property the New Seville Sugar Plantation. The attached building located behind of the Great House which now serves as offices at Seville Heritage Park. Initially after acquiring the land, Hemmings build the Great House with a slave village. By the 1690’s, Hemmings’ African slaves farmed 300-400 acres of sugar cane along the coast. He also set up warehouses and shipping ports along the coastline. The sugar mill continued to operate by African slaves until slavery was abolished in 1838. After the Emancipation, Protestant reformers purchased part of the estate and turned it into a free settlement called Priory. Former slaves lived in the settlement and occupied it until the 1890’s. In order to continue the operation of the Seville Plantation, East Indian laborers were brought to Jamaica. 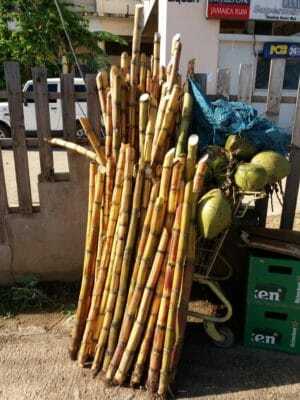 Sugar cane is still a farmed in Jamaica. 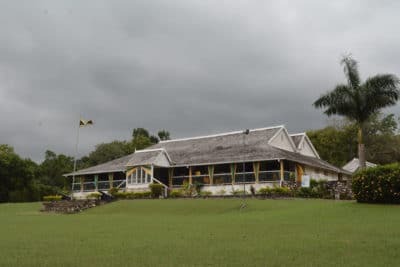 Today, Sevilla de Nueva, Sevilla, and the New Seville Sugar Plantation are all included in what is known as Seville Heritage Park, a cultural heritage site in Jamaica containing 300 acres of land. The property still contains several preserved structures, including the Governor’s Castle, Spanish Sugar Mill, Artesian Workshop, Spanish Settlement, Spanish Church, and The Great House. Description and recreated image of the English Warehouse that was used to store the sugar. 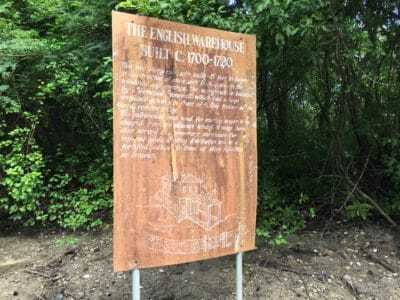 The remnants of the English Warehouse. 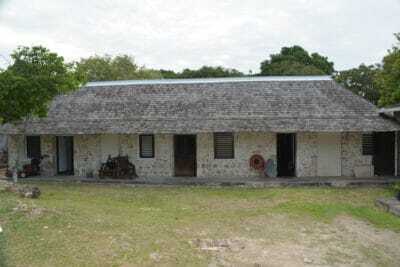 Tours are offered at the Great House where visitors can learn about the history of the Taino Indians, Spanish, English, and Africans that once inhabited the area. The Great House also serves as a museum where historic artifacts are on display. 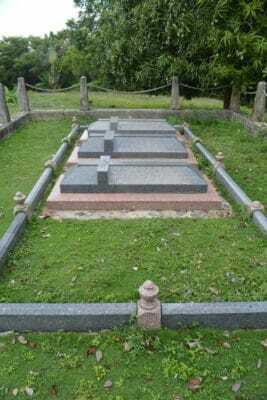 The grave of four unknown slaves that were exhumed from another part of the property and reburied here on Emancipation Day in 1997. Seville Heritage Park is listed as “tentative,” on the UNESCO World Heritage Site list, which means it could potentially be listed as a World Heritage Site. 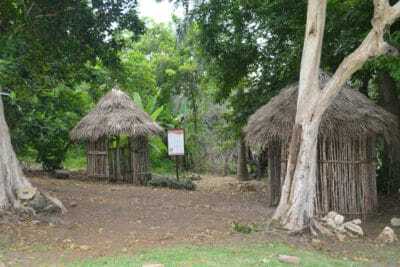 Seville Heritage Park is considered to be one of the most comprehensive plantation sites in the Caribbean, offering insight into the history of the New World. 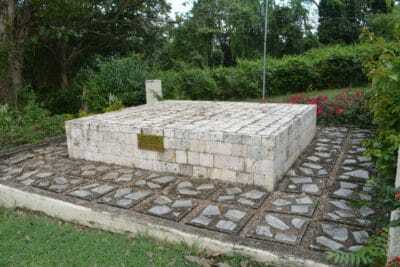 Additionally, it represents an important part of the history and culture of Jamaica, therefore; Jamaica National Heritage Trust oversees this site making sure to preserve the history and culture of this unique place where you can step back in time.